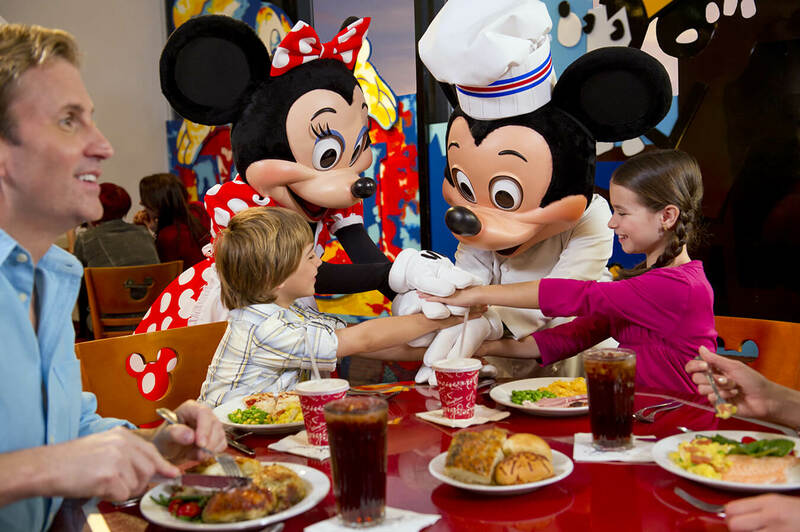 Which restaurants within Walt Disney World Florida cater for families? 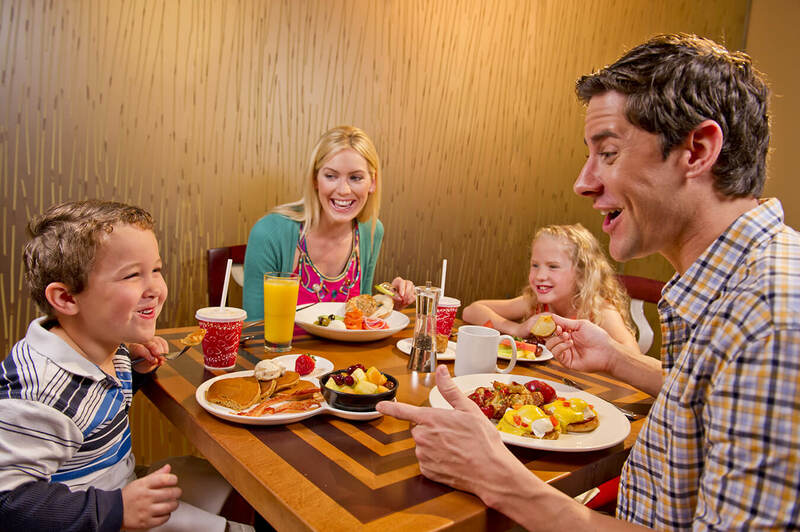 A common question families have when dining at Walt Disney World is where should we go? For those of you with young children this is usually a challenge to find a spot that will work for everyone and one that offers a child friendly environment. Walt Disney World offers a lot of choices and everywhere is open for kids except Victoria and Alberts. You have the regular assortment of fast food/counter service options that all theme park guests are familiar with. All Disney Resorts as well as the parks have these options with slight variations. But say you are looking for a meal that is a notch up from fast food. A couple of options that come to mind that are child friendly and not at the top end of the price spectrum are the Trails End at Fort Wilderness and Whispering Canyon at the Wilderness Lodge. Both offer family friendly foods (fried chicken is the specialty at both) and are fairly loud to begin with so need to worry about the kids. Another favourite among some families is the Rain Forest Cafe (there is one at Downtown Disney and another at the Animal Kingdom). For some of the best burgers (and ice cream) you may want to check out Beaches and Cream at the Beach Club Resort. More pricey options exist such as the character meals or dinner shows. On the character meal front the most popular over the years have been Chef Mickeys and the Contemporary Resort and the one in Cinderellas Castle. On the dinner show front the Hoop Dee Do has been a crowd pleaser for decades and the Polynesian Luau is not far behind. Do you have any favourite restaurants at Disney?